Just Dance 4 will be the home for South Korean pop star Psy's mega-popular track, "Gangnam Style." You have to believe that Harmonix, the makers of Dance Central, and Ubisoft, the folks behind Just Dance, were at odds over the chance to snag Psy's incredibly popular "Gangnam Style." With Just Dance 4 and Dance Central 3 both releasing in the same year that "Gangnam Style" takes over the world and approaches 500,000,000 views on YouTube, one would expect that both companies wanted the song for their games. Ubisoft has made it official this morning. Just Dance 4 will feature Psy's "Gangnam Style" as a piece of DLC. The song will be made available sometime in November. Just Dance 4 is on sale now for the Wii, Xbox 360 and PlayStation 3. It will also be available for the Wii U at the system's launch on November 18th. London, UK – October 19, 2012 – Ubisoft® announced that "Gangnam Style," by South Korean rapper Psy, will be available as downloadable content (DLC) for Just Dance® 4. Just Dance 4, the latest installment in the world's No. 1* dance game franchise, launched worldwide earlier this month and Gangnam Style marks the latest DLC track for the game. 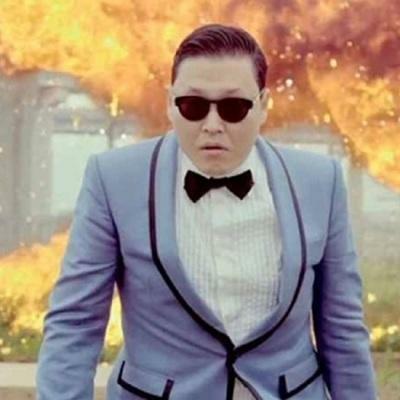 With more than 480 million views since its July debut, the Gangnam Style music video shot into YouTube's list of top ten most-viewed and has become a worldwide hit with politicians, athletes, celebrities and fans joining in and dancing along to the iconic dance moves. "Gangnam Style and Just Dance 4, I can't wait to see all the YouTube videos", said South Korean artist, PSY. "We're dedicated to bringing Just Dance fans access to the music and musicians they love," said Geoffroy Sardin, Chief Marketing & Sales Officer, Ubisoft EMEA. "Our fans were really vocal about wanting Gangnam Style in Just Dance 4 and we listened. This marks the first of many hot upcoming DLC tracks for Just Dance 4." Gangnam Style will be available for all motion sensor platforms in November 2012. Download details and pricing will be similar to previous Just Dance DLC and will be confirmed closer to the availability of the DLC. About Ubisoft: Ubisoft is a leading producer, publisher and distributor of interactive entertainment products worldwide and has grown considerably through a strong and diversified line-up of products and partnerships. Ubisoft has offices in 26 countries and has sales in more than 55 countries around the globe. It is committed to delivering high-quality, cutting-edge video game titles to consumers. For the 2011-12 fiscal year Ubisoft generated sales of €1,061 million. To learn more, please visit: www.ubisoftgroup.com. *MOKA and NPD Sales December 2011.